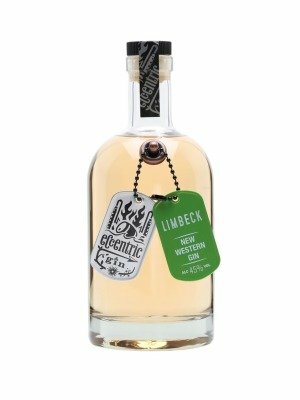 Eccentric Limbeck New Western Gin is a popular Gin available from TheDrinkShop in 70cl to buy online. Visit TheDrinkShop for the best price for 70cl of Eccentric Limbeck New Western Gin or compare prices on our other Gin products. A New Western Gin hailing from Wales, Eccentric Limbeck is a wonderfully heady blend of blue ginger and citrus notes, laced with tarragon, Seville oranges and orris. This superb gin is rested in Burgundy French Oak casks, developing a smooth taste which will leave a subtle peach colour which will vary with each batch. From Llantrisant in South Wales. Where to buy Eccentric Limbeck New Western Gin ? Eccentric Limbeck New Western Gin Supermarkets & Stockists. You can buy Eccentric Limbeck New Western Gin online in most retailers and find it in the Gin aisle in supermarkets but we found the best deals online for Eccentric Limbeck New Western Gin in TheDrinkShop, Amazon.co.uk, and others. Compare the current price of Eccentric Limbeck New Western Gin in 70cl size in the table of offers below. Simply click on the button to order Eccentric Limbeck New Western Gin online now.